1911-1980 Baseball Card Collection (28) With Stars and HoFers. 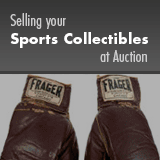 Offered is a small gallery featuring primarily Stars and Hall of Famers. Includes: 1911 T201 Mecca Double Folders (1) - Chance/Evers (VG); 1948 Bowman (1) - #17 Slaughter (miscut); 1952 Topps (1) - #59 Roberts (trimmed, borders cut off); 1956 Topps (3) - #'s 5 Williams (FR), 35 Rosen (PR), 145 Hodges (trimmed, borders cut off); 1957 Topps (1) - #35 F. Robinson (FR); 1958 Topps (4) - #'s 310 Banks (EX), 480 Mathews AS (FR), 487 Mantle AS (PR, tape), 488 Aaron AS (VG); 1959 Topps (1) - 435 F. Robinson (GD); 1960 Topps (4) - #'s 3 Adcock (VG), 50 Kaline (GD), 250 Musial (FR), 316 McCovey (PR); 1961 Topps (2) - #'s 141 B. Williams (GD), 577 Aaron AS (GD/VG); 1962 Topps (3) - #'s 1 Maris (GD/VG), 10 Clemente (VG/EX), 394 Aaron AS (VG/EX); 1964 Topps (3) - #'s 50 Mantle (FR), 138 WS Game #3 (PR/FR), 155 Snider (VG/EX); 1966 Topps (3) - #'s 80 Allen (FR), 100 Koufax (PR), 500 Aaron (PR, pinhole); 1980 Sporting News (1) - George Brett (NM).